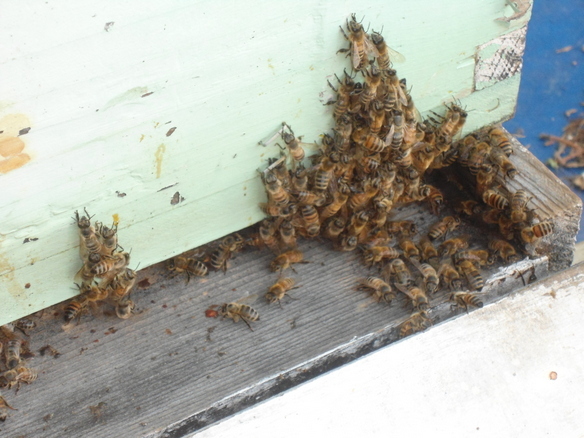 A recent addition to our business is our own apiary. 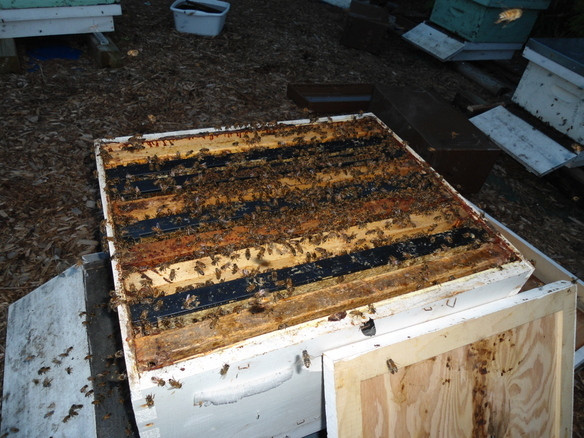 We harvest, bottle and sell our own 100% pure honey. 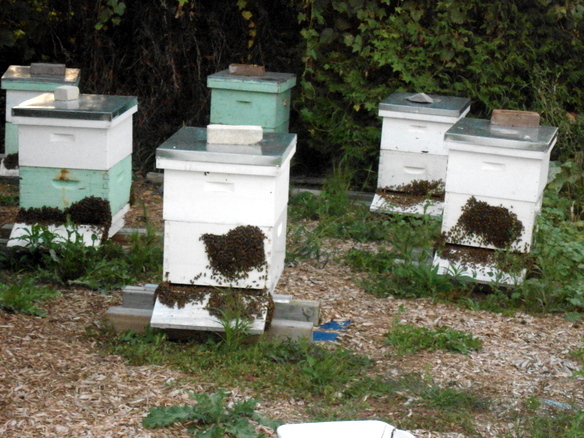 At the present time we have 6 bee hives but are looking to add a few more. Did you know that locally grown honey is best for you, because it’s produced by bees from the plants growing in the area in which you live and therefore contain the immune stimulating properties needed for your body to adapt to its environment. 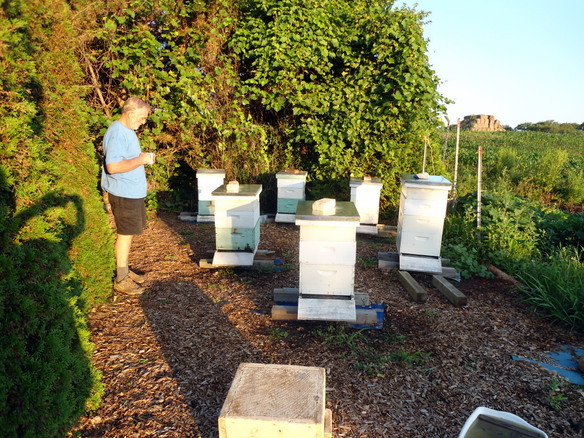 Talking to your bees in the early morning, as Stephen is doing here, is no doubt good for both him and the bees. 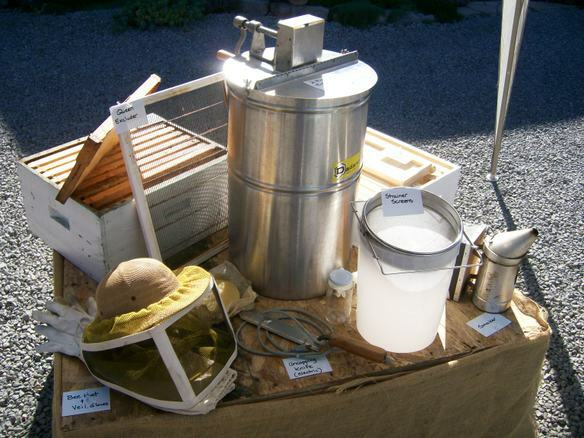 You need all this equipment and more if you want to collect honey. The fascinating process of making honey begins when the bees feast on flowers, collecting the flower nectar in their mouths. 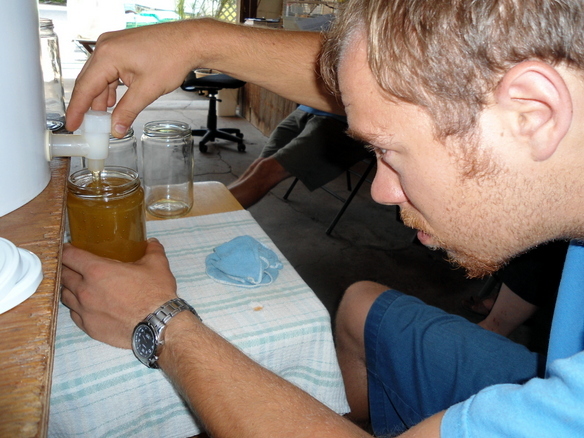 This nectar then mixes with special enzymes in the bees’ saliva, an alchemical process that turns it into honey. 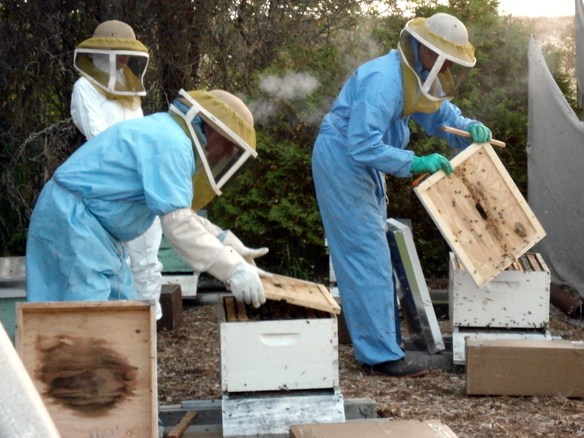 The bees carry the honey back to the hive where they deposit it into the cells of the hive’s walls. The fluttering of their wings provides the necessary ventilation to reduce the moisture content making it ready for consumption. 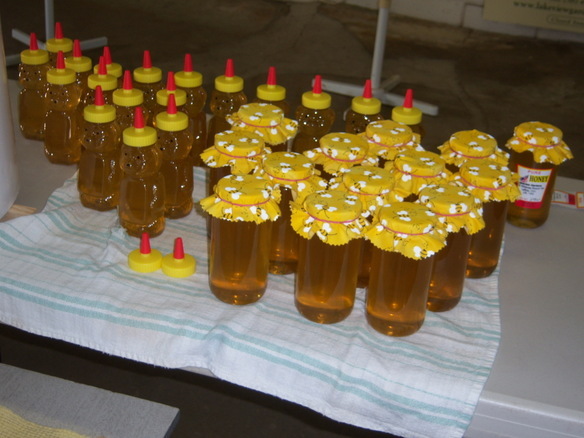 The last step in the honey making business, it is time consuming – as Andrew will tell you – but at least you can sit down while doing it. Here you have the finished product – ready for sale. 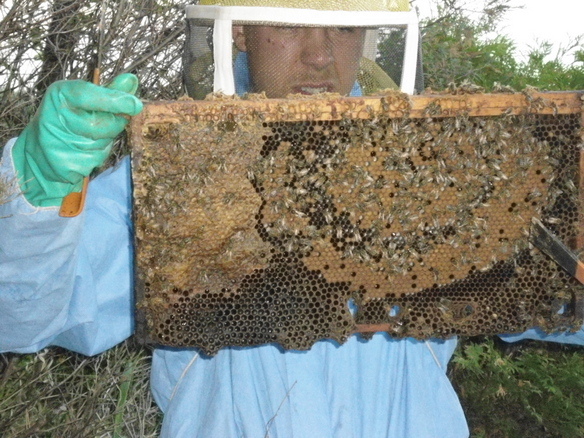 At the end of the season you have to make sure the bee hives are wrapped up well for the winter.